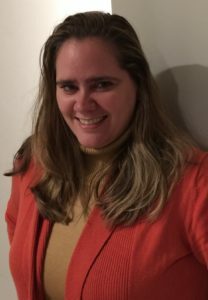 Heatherlynn Akins is excited to join the Powerhouse team as a quality assurance specialist and technical writer. Heatherlynn studied for her bachelor’s and master’s degrees at the University of Dallas in Irving, TX. She couldn’t decide what to study, so chose concentrations in both English and German literature. During her master’s program she married an Air Force pilot and left the world of academia to follow him around the world. While doing so, she taught English to Japanese students, tutored many a student, taught creative writing, edited and wrote for several newsletters, worked as the Program Director for a martial arts studio, and managed to raise two boys to (thus far) teenage-hood. In other words, she was the typical military spouse. After 25+ years of service, her husband retired two years ago and the family moved to Colorado. While she adores her adopted resort town, she is eager to get back to her first love, the written word. Her love affair with such began many moons ago when she gummed her first cardboard book and she is still most often found with a book in her hand, or spouting off useless trivia she’s learned from reading. Spread it! Mix it! Shake it! Stir it! Lakesha Brown-Renfro delivers a party with every order. 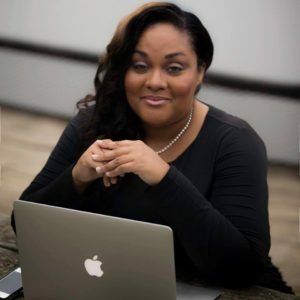 Whether it is one of her products or services, the Navy wife of 18 years gives customers an experience that has helped her grow and build a diverse business empire. She and two partners launched their first company—Simply Panache, an event planning firm—in 2011. She said she had the entrepreneurial spirit since she was a young child, first starting with a lemonade stand, followed by a hair bow business, and then she created a teen membership club. Brown-Renfro and her friends eventually coordinated parties that caught the attention of friends, family, and even strangers. “At this point, I started thinking that I could do this as a business, and the event planning company was born,” she said. Front and center of Simply Panache was a product that would ultimately become the signature item and foundation of the brand. Mango Mango is a gourmet mango preserve with over 100 uses. It earned the reputation of a “party in the jar” with Brown-Renfro’s robust marketing plan. She started by selling the product online, at farmers’ markets, and in local and national stores. As the business grew, so did the opportunities. Three years ago, her team appeared on ABC’s hit show Shark Tank. Valuable learning lessons came from the experience. 65% of adults in the United States use social media sites to connect, according to the Pew Research Center. These numbers do not represent just one demographic, but respondents fell into age groups of 18-29 and up to 65+. Small businesses can grow brand awareness and expand a customer base by meeting consumers where they are—online. If you already operate with a small staff, it can be overwhelming to add social media management duties to someone’s plate. Powerhouse Planning offers relevant services to help companies maximize social media tools as well as plans a communications strategy that fits your target audience. Review the full listing of our services here: Our Services. The days of using Facebook as a free marketing tool are over. However, keep in mind, Facebook is still powerful and, when used correctly, will grow your business and build a loyal following. The saying, “Sometimes your circle decreases in size, but increases in value” is very true. This can also be applied to the world of social media. While there are still many out there who do believe in putting in the time to increase audience size, don’t fixate on the number of your social following—bigger numbers don’t always equal success. Think about it this way: if the brand does not spend time engaging with their followers, what value does the high volume of those followers hold? More time should be put into increasing the quality of your content to attract already loyal fans, therefore increasing your metrics and having a better organic reach. Potential followers will see the interaction between the brand and fans, equaling a higher quality page. Ever visit a page with a high following, but scroll down their page and see nothing? No comments, likes, or shares—just a brand posting content over and over, talking to no one. No engagement. It’s basically unheard of in this digital day to do business and not have a social media presence. Whether you have one employee or hundreds, your business’s digital footprint can make all the difference in how your company reaches potential customers. 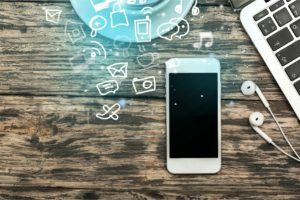 There are numerous moving parts to maintain professional social media accounts, but one of the most important things to focus on is social media etiquette. How your digital voice comes across to your audience impacts your brand. Just like you have a business persona and a personal persona, your company’s social media presence should be separate from your personal one. Anything that you post under the umbrella of your business should align with professional goals, attitude, and beliefs. If a piece of content gives you pause before posting it, it’s most likely best left to your personal social media channels. Back in the early 2000s, even before Facebook was a glimmer in Mark Zuckerberg’s eye, the term for finding friends online was “social networking.” Now we seem to have replaced that term with “social media,” but the goal is still the same: to network with other people you may not otherwise have an opportunity to connect with. With that in mind, you wouldn’t just talk at someone during a face-to-face conversation, especially someone you just met. Why then would you do that with your online audience? People are giving your their very precious time, and they want to receive something of value in return. Present them with the opportunity to converse with you. Share information that not only interests them, but also provides them with a way to respond and makes them feel like part of a conversation instead of a targeted demographic. 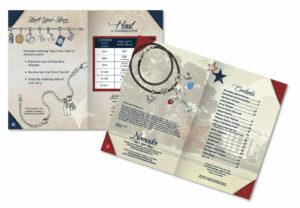 Check out our latest catalog design for Nomadés here: www.nomadescollection.com/catalog-2016-fall. Sprout Social: Allows businesses to get the most out of social media with tools for publishing, engagement, and analytics. Some features include letting you pre-schedule posts and track the growth of social audiences. Companies can sign up for a free trial. Manage Flitter: Get the most out of your Twitter account with this tool, which allows you to target the right followers for your brand, manage engagement, and keep track of who unfollows you. 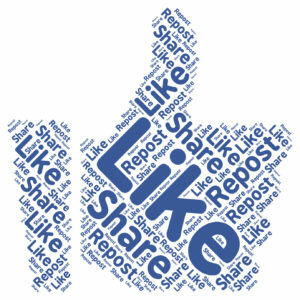 Klout: How do you know if you are posting shareable content? Klout scores you on the level of engagement for each of your social media accounts—Facebook, Twitter, Google+, and so on. It is a great asset in understanding the quantity versus quality of what your company is posting and enables you to adapt your communications strategy. Plus, it suggests content based on your desired demographic that can help grow your audience and keep your current one interested. In January of 2010, two Marines, six veterans, and first responders flew to the Dominican Republic armed with money and medical supplies. They rented a truck and headed to Haiti, where they immediately began providing aid to the people of Haiti. They treated thousands, focusing on those who would be overlooked. Just like that, Team Rubicon was born. The name and history are unique, just like the people who make up the team. The military runs deep in Team Rubicon, emphasizing small, cohesive units. The focus is to provide disaster relief by pairing the skills and experiences of military veterans with first responders, medical professionals, and technology solutions. Krystel Spell’s 100,000+ followers would be surprised to learn that the brand empire, known as Army Wife 101, actually began as a personal video project. 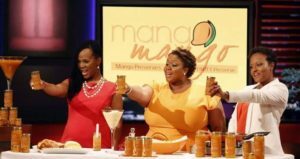 The branding expert says she initially started vlogging (video blogging) on YouTube to share cooking videos and document aspects of military life. She never imagined that it would turn into a lucrative business with earnings in excess of $5,000 per month. A brand is more than a logo, and a logo is just a small part of a company’s first impression to potential customers. A robust marketing plan includes branding that defines who you are and what clientele you are trying to reach. Fact: Color increases brand recognition by up to 80 percent, according to a study by University of Loyola, Maryland. Let Powerhouse Planning assist your company in building a standout brand that increases your followers and draws customers in. Our services include website development, graphic design, and more. Review our full offerings at Powerhouse Planning.